Iris Bost, an unemployed single mom of three, hoped to break into the male-dominated construction industry that would provide better pay than working retail. Through a social media post, the Globe resident was excited to learn about an Arizona Department of Transportation-sponsored Construction Academy at Gila Community College. She signed up for the free apprenticeship program to learn carpentry and earned college credit too. "There should be more women in the construction field, and I want to do what I can to help them," said Bost, who taught her first Occupational Safety and Health Administration class at Gila Community College in August. "I want to teach both women and men about what they can and cannot do on the job so that they will work safely." 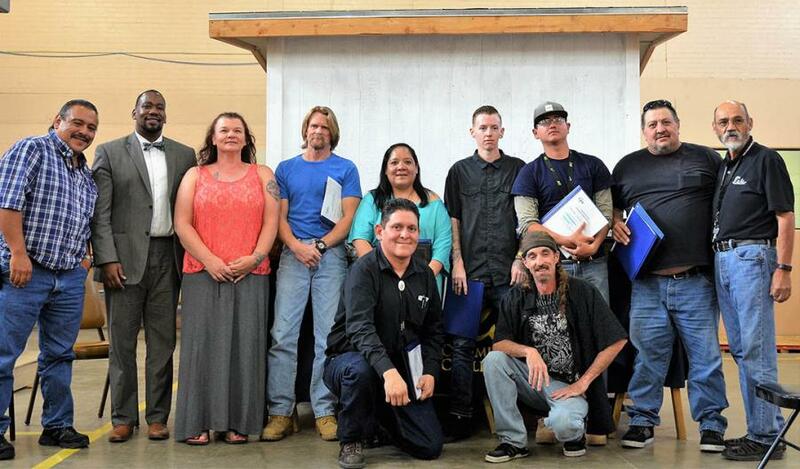 To help remove barriers to careers in transportation construction, Construction Academy programs that ADOT offers with employers, community colleges, Native American tribes and others provide free training and other support — including safety gear and help with transportation and child care — for members of economically disadvantaged groups. While the list of qualifying individuals also includes minorities, veterans and those who are unemployed, among others, one benefit of this program has been helping more women enter the construction trades. Offered through ADOT's On-The-Job-Training Supportive Services Program, part of the agency's Business Engagement and Compliance Office, the Construction Academy combines hands-on activities and classwork that includes computer technology, construction math, commercial driving and job-related safety and health hazards. Training is offered in the evenings and some weekends to make it more accessible. As an added bonus, Construction Academy participants like Bost perfect their construction skills by giving back to their communities. Bost and her classmates built a shed for the Globe Miami Piranha swim team and rehabilitated an elderly man's home. She's also found the skills helpful in her personal life. "The ADOT Construction Academy is a great opportunity not only to prepare you for a job in the construction field, but you also learn what to do if you want to make repairs in your own home,' Bost said. Patricia McKinley, another Construction Academy participant, said she wanted to do more than office work at the small trucking company that she and her husband started in Phoenix. She wanted to drive a large truck for construction jobs but couldn't afford the training to get a Class A commercial driver license. 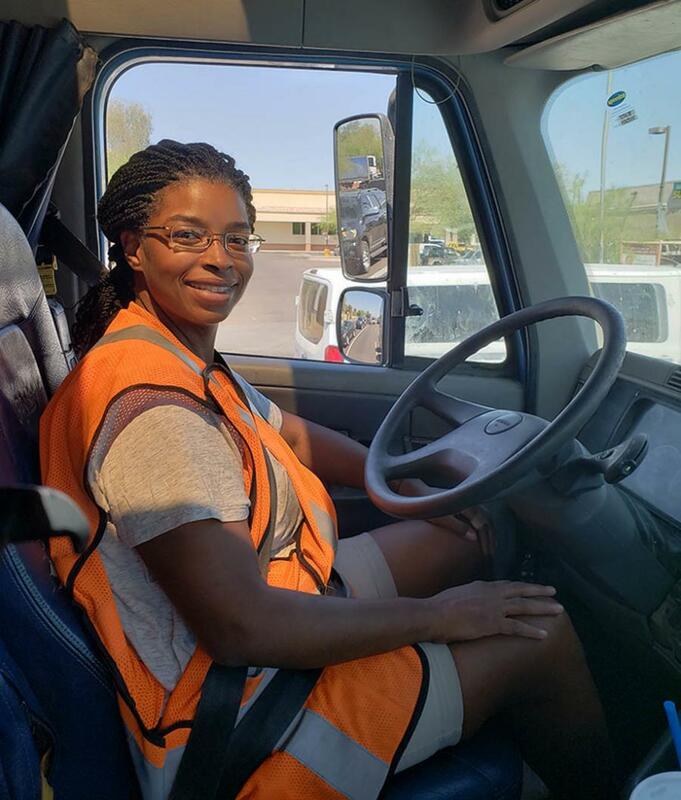 Due to ADOT's Construction Academy, McKinley was able to obtain her commercial driver license at no cost. While working full-time, she participated in a six-week program offered four nights a week at Southwest Truck Driving School in Phoenix. She also earned her traffic control flagger certification. Today, the mother of two operates an 18-wheeler to transport dirt excavated for highway projects. She and her husband, Jonvai, own KHAVL Transport LLC, an ADOT-certified Disadvantaged Business Enterprise. "I was the only woman out of six students in the commercial driver license class, and I was intimidated at first. But my husband encouraged me to keep going,' McKinley said. "This is a great opportunity for anyone looking to grow. ADOT's program provided me with free gear and taught me what I needed to go to work." For more information or to apply for a Construction Academy, visit azdot.gov/BECO.